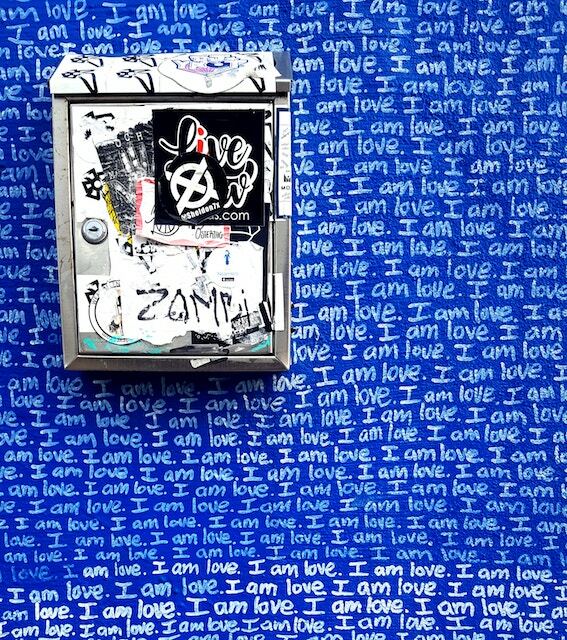 Affirmations are the Crack Cocaine of the Positive-Thinking Movement. I told people from the United States, Europe, South America, Mexico, Canada, and beyond that whatever you think about, you can create by using positive affirmations in your life every day. Well, I was wrong. Oh my God, I was dead wrong! Affirmations release an amazingly powerful amount of feel-good chemicals in the brain the minute you say them. Serotonin, dopamine, and more—they are powerful. They lift your spirits right away, making you feel invincible. And if you followed my advice back then—which I stopped giving myself in 1996—you would feel unbelievable, like you just did a line of cocaine or a hit of crack! These drugs—and I should know, since I was a cocaine addict for over 25 years—make you feel invincible. You feel like you can accomplish anything. Cocaine gives you an instant high. Affirmations give you an instant high. Cocaine makes you feel invincible—while changing nothing. Affirmations make you feel instantly unbeatable—while actually changing nothing. My lord, when I was high on cocaine, I was going to write 25 best-selling books, open a series of restaurants in the Florida Keys, and make millions of dollars every year. The problem? I never did a damn thing. So what did I do differently? Did I drop affirmations entirely? Hell no. But let me tell you about the new path that I started following my experience with my spiritual guru. I got up every day and decided I was going to do something that was uncomfortable. I had already affirmed that I was going to get help from other professionals, which I immediately did, and I did whatever they told me to do. You see, when you start adding the most difficult steps that you want to avoid with realistic affirmations, not pie-in-the-sky statements but actually realistic affirmations, your life will radically change. But—and this is a big but—you have to be willing to do the hard work! How about you? Have you been using affirmations that are based on insanity rather than reality? Are you saying things like, “I am a millionaire,” because you read it in some book or heard it from some best-selling author—despite the fact that it isn’t actually true? Here is what I want you to do right now. Write down any affirmation you might be using that is not based in reality, and cross it out—actually put a big “X” through it! Next, rewrite the affirmation with realistic statements that include action steps to hold yourself accountable to the change. Now, here’s an interesting thought. When you write affirmations about change, in reality, you will still get a boost from the chemicals in the brain. It won’t be as dramatic, but there still will be a positive feeling that you are moving into your challenge, versus using some fantastical thinking phrase that means nothing to the subconscious mind. The subconscious mind holds the key to change. And every time we make an unrealistic affirmation, the subconscious mind rolls on its back laughing. However, when you make an affirmation that is realistic combined with action steps, you are actually starting to blend together the conscious mind of intent with the subconscious mind based in reality. I want you to get everything that you want out of life—but we have to start thinking and actively doing differently in order to make this happen. The biggest takeaway for me that can benefit you, in regards to so many of the false teachings in the world of personal growth, is to not believe everything you hear. The old adage, “If it sounds too good to be true, it probably is,” is extremely valid in the case of this article. I was a parrot, and many of us teachers in the world of personal growth have been parrots for most of our careers; we need to be honest with ourselves. Just because someone famous on TV, or a number one best-selling author says that something is true, does not mean it is. Always do this test: does it sound too good to be true? I don’t care if it’s talking about cryptocurrency like Bitcoin, or affirmations that will bring you millions of dollars, or a green tea pill that will help you lose 30 pounds in 30 days. It’s all the same stuff. If I would’ve done this year’s ago, I wouldn’t have put all of this energy into quoting affirmations every morning and believing they were going to be come true just because some guru told me it would happen. As I look back on my life, after 12 months of doing affirmations that weren’t working, I’d like to think I have more common sense now and have changed directions, instead of staying on the path because someone famous told me it works. If it doesn’t work for me, it’s not my path. And that’s what I want you to do. I want you to become so discerning that even if I tell you something is true, but it doesn’t register with you after trying it for 12 straight months, then go in a new direction. That’s called free will. That’s called common sense. And trust me, it’s not a genetic gift that some of us have and others don’t: we all have it. Are you ready to follow common sense? Are you ready to try something new that someone famous says is real? After 6 to 12 months of practicing it, if it doesn’t work, do you have the strength to move on? I hope you will. Because that is the point of this article. You had me at realistic affirmations. Accept the menial, the boring, the seemingly insignificant steps of progress to become what we may not even be able to imagine. Because it's all being done for us. Then we realize the reason for the struggle. I always just felt like a liar saying stuff that wasn't true. I mean, really, "I am a millionaire?" Cognitive dissonance grabbed me every time. I admire your courage for re-examining your beliefs and admitting you screwed up. Thank you. DID YOU READ THE ARTICLE? IF YOU DID YOU'LL NOTICE OUR DISCUSSION ON SOBRIETY....ISN'T THAT ABOUT LIVING IN THE NOW? LMAO. There is something to positive affirmations, yes. Beats those negative ones, that's for sure! You know the ones, the ones the internal judge likes to whack us over the head with when we fall short of some ridiculous standard we've set. But this rings so true, about making these wild claims (aka "blowing Happy smoke up your arse") and doing nothing towards making the statement becoming real in the daily world. I totally agree that our subconscious mind (or inner BS meter) knows the truth and shakes its head. Read something by Gregg Braden years ago that ties in with all this and it has to do with having everything lined up. The words/thoughts/affirmations the visual (if using it as well), the feelings and emotion. Two out of three ain't bad but it often results in a skewed manifestation or none at all. Thanks for your transparency here. Hope it reaches a wide audience so there can be some positive action put together with this positive affirmations to yield some positive results. That should really feel great! Are all your now practical, common sense affirmations geared toward material success? Do you ever just stop and appreciate your being now? Sage advice, David. Unrealistic positive affirmations make me wince. Not everything is possible, just ask most of the American Idol contestants after the fact. 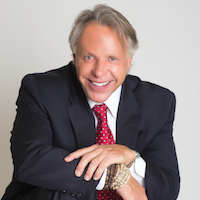 David Essel, M. S., is a number one best-selling author (10), counselor, master life coach, international speaker and radio host whose mission is to positively affect 2 million people or more every day, in every area of life, regardless of their current circumstances. David’s work of 38 years is also highly endorsed by the late Wayne Dyer, “Chicken Soup for the Soul” author Mark Victor Hansen, as well as many other celebrities and radio and television networks from around the world. His new book “FOCUS!” will be coming out February 2018 and he’s accepting new clients from around the world every week where he works with them to help them achieve their goals via phone and or Skype. E-mail his team at the website below, mention where you read this article, and you can receive a free 15 minute phone counseling session with David via his website.